Tusshar Kapoor and Shreyas Talpade, working in the same organization, hate each other. They fall in love with the same girl, Minissha. But when they meet her eccentric uncle (Satish Kaushik), they want to have nothing to do with her. Find out more in the review of Hum Tum Shabana. Star cast: Tusshar Kapoor, Shreyas Talpade, Minissha Lamba, Satish Kaushik, Sanjay Mishra, Pia Trivedi. What’s Good: A few comic scenes; sequences of one-upmanship between Tusshar and Shreyas. What’s Bad: The childish second half. Verdict: Hum Tum Shabana will find few takers. Loo break: Several in the post-interval portions. Watch or Not? : Watch it if you want to laugh at any cost! Alliance Entertainment Pvt. Ltd. and Horseshoe Pictures Pvt. Ltd.’s Hum Tum Shabana (UA) is a comedy. Rishi Malhotra (Tusshar Kapoor) and Kartik Iyer (Shreyas Talpade) work in an event management company. They can’t stand each other and are always playing the game of one-upmanship with one another. Rishi and Kartik are assigned the job of assisting Ravi Agrawal (Rahul Singh) in organising a beauty pageant. They both fall head over heels in love with Shabana Raza (Minissha Lamba), one of the participants in the beauty contest. Both are in for a rude shock when they meet Shabana’s uncle (Satish Kaushik) who is an eccentric underworld don. His eccentricities make him slap the person he is happy with and slap himself when he is angry with someone. The uncle makes the two colleagues do all sorts of crazy things and even participate in a crazy contest. Consequently, the battle to woo Shabana turns into a desperate game to anyhow lose the girl and break free from her. Tusshar Kapoor & Kartik Iyer, who can’t stand each other, fall for the same girl, Minissha. Farhajaan Sheikh’s story offers no novelty. 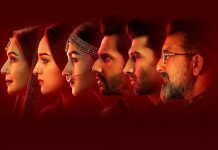 The screenplay, penned by Farhajaan Sheikh and Sagar Ballary, is interesting in the initial reels when Rishi and Kartik try to prove one up on each other but soon deteriorates. The post-interval portion, especially, is irritating as the comedy becomes too loud and weird, defying all logic. In fact, the entire track of Shabana’s uncle is silly and hardly evokes laughter. Similarly, the track of Munna Military (Sanjay Mishra) serves to embarrass the viewer more than entertaining him. 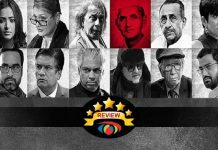 In the name of comedy, anything and everything is sought to be passed by writers Farhajaan Sheikh and Sagar Ballary. Dialogues, penned by Sharat Katariya, are good and entertaining at places but ordinary at other places. Tusshar Kapoor does well but gets limited scope. Shreyas Talpade gets better scope and shines as Kartik. Minissha Lamba doesn’t look like a beauty contest participant. She does an average job and even her dialogue delivery is not very clear. Pia Trivedi looks glamorous and projects the right attitude. Satish Kaushik does well but his irritating characterisation negates his able performance. Sanjay Mishra, another fine actor, suffers on account of poor characterisation. Rahul Singh is alright. Madhur Bhandarkar, Pooja Batra and Aditi Gowitrikar make their presence felt in brief friendly appearances. Sagar Ballary’s direction is ordinary, thanks in no small measure to the sub-standard script. Sachin-Jigar’s music is a mixed bag. While a couple of songs (Piya kesariyo, Music bandh na karo and Kaare Kaare) are alright, the others pass muster. Lyrics (by Sameer and Mayur Puri) are okay. Song picturisations (Rajeev Surti and Aadil Shaikh) are commonplace. Anirudh Garbyal’s cinematography is ordinary. Action scenes have been composed by Abbas Ali Moghul in a routine manner. Sets (Sukanta Panigrahy) are okay. Suresh Pai’s editing could’ve been far more sharp. 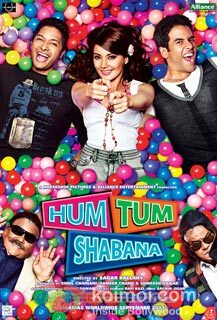 On the whole, Hum Tum Shabana is a dull fare in spite of some enjoyable comic scenes. Its second half is irritating rather than entertaining, and that’s where the problem lies. 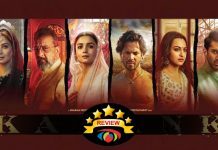 komalji , your review is so detailed, we just want to see a film made by you since you have so so much gyan on this business. i am sure you can make the most perfect film ever yourself which history will remember and say wah wah ! we implore u to do so very soo. should not be a problem, u have so may well wishers that you have supported over the years who’ll help you!